July 26 is celebrated as Day of the National Rebellion in Cuba. This public holiday commemorates the 1953 attack on the Moncada Barracks, which is considered to be the beginning of the insurrection that expelled Fulgencio Batista. Festivities typically last for three days, from July 25 to 27. Fulgencio Batista initially rose to power due to the 1933 Revolt of the Sergeants. He maintained control through puppet presidents until 1940, when he himself became President. He finished his term in 1944 and left for the United States, but returned to Cuba in 1952 and seized power in a military coup. Batista declared himself President, suspended the Constitution and established a dictatorship. Fidel Castro attempted to legally challenge Batista's government, but failed. He thus resolved to begin armed struggle against the dictatorial regime. On July 26, 1953, he and his brother Raúl led an attack on the Moncada Barracks in Santiago da Cuba. The attack began poorly and eventually failed. 61 rebels were killed and 51 (including Fidel Castro himself) were captured during the attack or shortly after. Despite the defeat of the insurgents, the attack on the Moncada Barracks is considered to be the beginning of the 26th of July Movement and the Cuban Revolution. 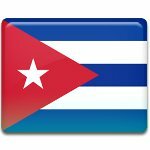 Its anniversary is one of the public holidays in Cuba.